Completed the permanent wiring for the garden railroad as described in the previous post over the weekend. It all worked out as planned. 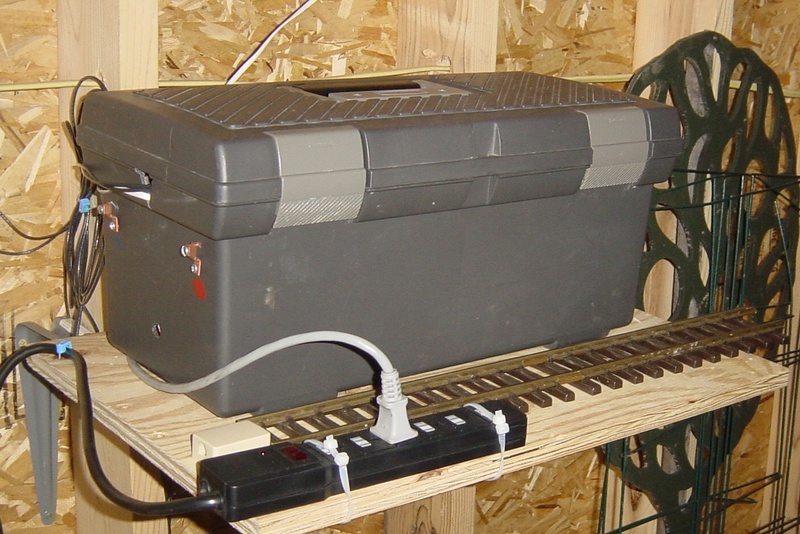 Picture above is of the control box on the inside of the garage wall (just inside from the layout). It is an old tool box that has been fitted with the MTS unit and the transformer inside for extra protection. The 2-foot piece of track is used to place an engine on for reprogramming. The power strip powers the layout on and off with one switch. Had a little trouble with what turned out to be a bad piece of wire, but otherwise went easily. 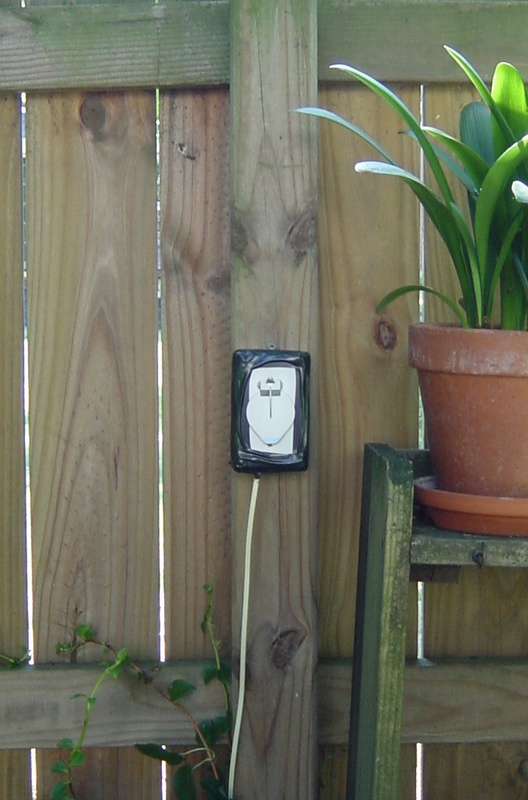 Photo below is of an outdoor phone-style jack next to the operator’s bench. All the operator needs to do is connect the phone-style cable off of the handheld MTS controller and the layout is ready to run. Unplug at the end of the day and the layout is weather-proof. Posted on July 24, 2005, in Garden Trains. Bookmark the permalink. Comments Off on Garden Railroad Wiring Complete.